This is the perfect gift pattern, for yourself or anyone else! 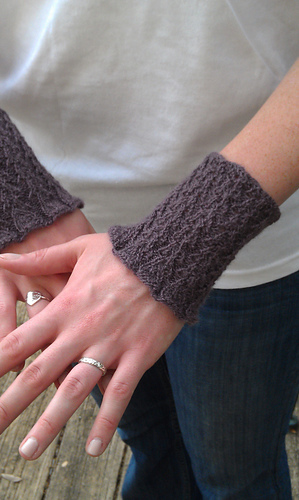 The cuff pattern is extremely elastic and will stretch to about 7 stitches per inch. Your size can be adjusted by changing gauge or needle size, by adding purl stitches, or by adding repeats in cast-on multiples of 8.